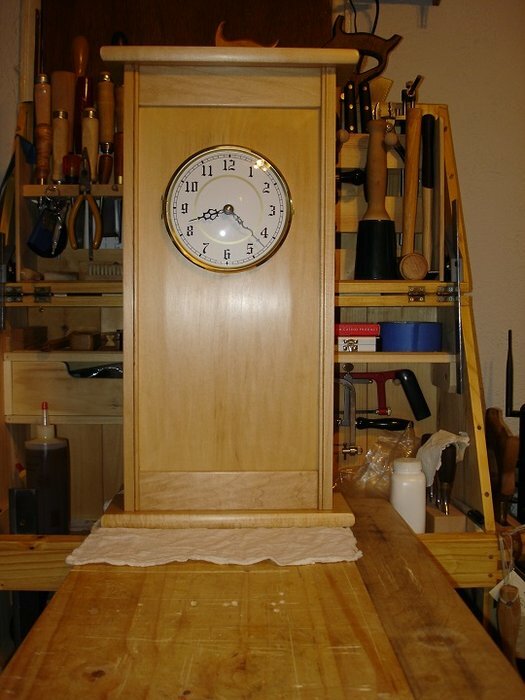 Here is a little wallclock I just finished for my father-in-laws birthday. 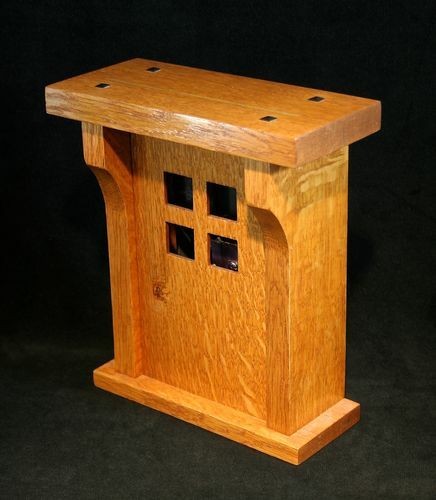 It is finished with 3 coats of amber Zinsser shellac and buffed with steel wool and paste wax. Oak? Router plane get some work? Looks not to shabby! That Shellac came up in a different thread, had never heard of it, I am sort stuck on L.V. French Polish usually with some paste wax or I go with OSMOS. Have some Flakes and the D.N.A. but haven’t mixed a new batch in a few years. Hey Andre. That clock is actually just pine from one of the local big box stores. Router plane and plow plane both got a little attention on this project. Also finally made a little screw in a block of wood beading tool to use on this project as well. It’s a beautiful clock. Nice work! Got Oak on the brain, Someone just requested a Oak coffee table, seems everything I work on lately involves Oak! Pic kind of yellow I-phone? LOL. Ha yeah it is an iphone pic. Also the image is kind of fuzzy and doesn’t show the nice sheen on the clock. Very nice looking clock—I’m sure he’ll really appreciate it! Nice clock love the finish. If your light is tungsten your going to get a yellow tint in your photos no matter how expensive your camera is unless you correct the white balance. I get great results with an iPhone. 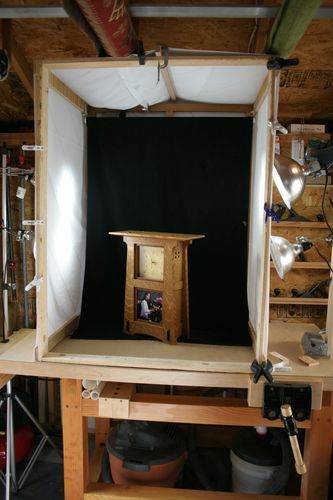 I built a photo tent with spare wood and old white sheets. It seems I’m putting as much time in the photography as my wood working. You can make the most beautiful creation (like your clock) and without good photos it gets very little attention. Great job on the clock! Thanks James for the advice. Photography is definitely not my strong suit as you can tell. I’ll be making me one of those light boxes soon. Great looking clock knockknock. Is that in maple? Thanks James for the advice. Photography is definitely not my strong suit as you can tell. I ll be making me one of those light boxes soon. Great looking clock knockknock. Is that in maple? It’s basswood, real easy to work with hand tools.